When considering doing major construction to your home or business, cost, quality, and warranty should definitely be your main concerns. We are one of the oldest roofing and siding companies here in Michigan, founded over 25 years ago by Levi Moore. We show up, pay attention to detail, clean up, and eagerly await your referrals and reviews. Our reputation is a demonstration that we are responsible and respectfully abide by the quality standards established in Michigan. We provide competitive pricing with no hidden fees. We specialize in roof construction, roof repair, roof tear off and emergency roof and all gutter needs for homeowners and commercial building owners throughout Michigan. We are dedicated to providing quality customer service and to every client with fairness, honesty and professionalism. We promise to keep the trust we’ve worked hard to establish with all of our clients throughout Michigan by providing you with excellent customer service and guaranteed workmanship. There’s no job too large or too small. Our licensed contractors work together effectively to pass inspections, meet strict deadlines and keep you feeling safe in your home or office. We build finished siding, complete gutter systems, and new roofs in less than a week. Depending on the project, we may be able complete an entire roof in one day! Of course, our fast delivery does not affect the quality of our work as our products are backed with lifetime warranties. Our crew is praised for our professionalism and cleanliness. Once we are finished with our job, you won’t have to worry about cleaning up debris before continuing with your daily routine in your improved home or business. We will pick up our mess and the only way you will know we were there is by the Rock Solid Exteriors sign we gratefully leave to show off our work. Best Choice Total Home Improvement is committed to providing Livonia and the surrounding area with the absolute best in home improvement services. You and your family rely on your home for comfort and security, and it’s our goal to make sure that it’s always able to give you that. We specialize in roofing and vinyl siding, but our services extended beyond that. 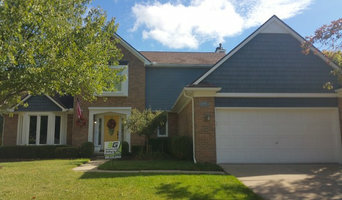 Our professional Michigan roofing contractors are the best the area has to offer. Each of them are licensed, insured and professionally trained and experienced. And we never let the range of services we offer infringe on the quality of each one. Our mission is simple: we aim to provide every one of our customers with superior work and quality materials at a fair, reasonable price. Whether you need interior or exterior improvements, a roof replacement or a bathroom remodel, we’ll be ready to give you excellent service and guarantee your 100% satisfaction. For roof repairs, vinyl siding, interior remodeling, storm damage repairs and more, you can depend on Best Choice Total Home Improvement, Inc.
Are you looking for a contractor to help you with your exterior projects? 3G specializes in gutters, siding, painting, trim, windows and roofing and we can help you! We have hundreds of references from jobs we have done all over Oakland, Macomb and Wayne counties and would like to help you with your next project. Our locally owned and operated company is fully licensed and insured for your protection and peace of mind. We do residential and commercial work all over the local area. By purchasing new gutters, you will help avoid spending thousands of dollars on water damage repairs to your home. We also offer leaf protection services. This is a great way to protect your home from falling leaves and debris that can interrupt the water flow away from your house. We not only specialize in gutters but we are also are experts in siding, windows, roofing, and painting making us your ultimate exterior projects providor. We specialize in siding and roofing , however we are a full-service exterior remodeling company. We use the finest products; James Hardie Siding, GAF roofing, TheramTru Doors and Paradigm Windows. We transform home exteriors by offering superior products we trust, skilled and detailed workmanship, reliable and trustworthy staff and industry leading qualifications. 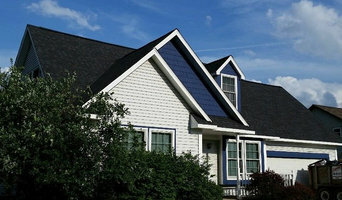 This increases the homes value and curb-appeal and gives homeowners peace of mind. As one of the most experienced siding and exterior remodeling companies in the Detroit metro area, we’ve learned that Your Satisfaction Means Everything! Our focus is on your 100% satisfaction, and we will strive to exceed your quality and service expectations. You are busy, right? You don't have time to go hunting around for a new cleaning contractor every year, right? What if you could find a company that took care of you, that really listened, and that worked tirelessly to fill your needs? Imagine hiring the last cleaning company you would ever need. A company that would be your go-to solution for dirty problems... forever! That's exactly the kind of company Lake State Cleaning strives to be. Since 1999, we've made it our mission to simplify our customer's lives, to brighten their days, and to be their only call when it comes to specialty cleaning services. And let me tell you... we take it very seriously. How can we help you? Detailed and thorough window cleaning, both commercial and residential Real power washing professionals. We aren't handymen with big-box store equipment... we know what we're doing and how to get the lasting results you want. Gutter cleaning that saves your property. Collection, disposal, testing and photo confirmation are the standard for us. Roof cleaning that saves you money! Those black streaks aren't caused by dirt. Algae is feasting on your roof! 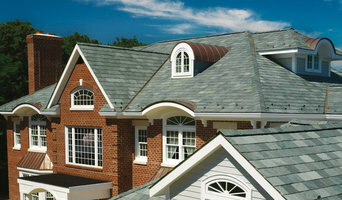 We use the only method endorsed by the shingle manufacturers. Safe, long-lasting, affordable and effective. You have tons of options. But what are you really looking for? Value. That's what Lake State Cleaning is all about. It's my promise that you will love our work, our commitment, and most of all, our people. If we don't deliver, you don't pay. It's that simple. Give us a call and we'll make good on that promise. Most people who have home improvement or home repair work projects completed on their home are concerned with quality work and materials, efficient use of their budget, and they want to work with a company that is reliable and honest. You can ask our customers; whether we do a small repair on your home, build a new addition or install a new roof or new siding on your home, we make make sure our customers are happy with the quality of the work and feel they have invested in their home wisely. For smart solutions that fit your budget, turn to the expert Royal Oak roofers at Tresnak Construction Inc. The company offers dedicated service for new installations, repairs, shingle roofing systems, skylight installation,rooftop snow removal, gutter installation, and vinyl siding. The technicians proudly serve Royal Oak, Troy, and the surrounding areas in the Detroit Metropolitan area. When you need help, trust a true expert with over three decades of experience. Turn to Tresnak Construction Inc. and schedule your free initial estimate today! *Authorized Pella Platinum Certified Contractor* At Adkins and Sons, we’ve been family-owned since 1979. Let Adkins and Sons design and build the windows of your dreams. We are a Platinum Pella authorized dealer that sells, installs and services all Pella products including vinyl fiberglass and wood windows. Effective February 2017, all Pella wood products carry a full lifetime guarantee, backed directly by Pella Windows and Doors. We also sell Anderson 100 series, 200 series and 400 series windows. Also featured in our windows collection are ProVia vinyl windows, which include a full life breakage and unconditional lifetime guarantee. All of our windows products carry a lifetime guarantee as well. As a family-owned and operated company servicing Oakland County and the surrounding areas, Grennan Construction has earned a reputation for honesty and integrity. Fair business practices, quality workmanship and superior customer service are some of the key reasons we stand apart from other companies. Founded in 1998 by Fred and Phil Grennan, Grennan Construction takes great pride in providing what many people feel is the best customer service in the business. We will take the time to get to know you and what you want and need in a home improvement project – allowing us to offer the solution that is best suited for you. Employees of our licensed and insured company will treat you like family – providing a free estimate, and delivering prompt, courteous and honest service. We will take pride in protecting your property – treating it as if it were our own. We are professional, neat, and efficient. We will follow up your project with a comprehensive customer satisfaction survey to ensure that we fulfilled every commitment and that you are 100% satisfied with the end result. Schedule an appointment with one of our project consultants to evaluate your situation and answer any questions you may have. Our highly-trained staff will locate and repair the most difficult leaks, install a complete roof and meet all of your siding, window, insulation, gutter and drywall needs. We require no deposit (on most projects) and no payment is due until your project is completed and you are satisfied! We guarantee all materials and the quality of our work. 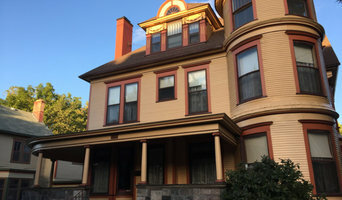 Established in 1994, we are a licensed and insured contractor providing quality improvements to both residential and commercial properties, large and small. Man kan rengöra sin fasad på lika olika visa. Fjällpanel, timmerpanel, lockpanel, eller putsad fasad kan alla behandlas på olika vis. En fibercementskiva och eternitplattor behöver behandlas på ytterligare vis. Det bästa är att ta tips av någon inom branschen i Detroit, MI som är expert inom området och har gedigen erfarenhet av fasadputsning av alla typer av fasadskivor, liggande och stående panel samt fasadbyte. Beroende på hur smutsig din ytterpanel är kan man behöva använda sig av olika metoder. Fasadarbeten i Detroit är ett stort arbete och extremt tidskrävande så fundera över om det är ett jobb för dig själv. Man bör absolut undersöka sin fasadbeklädnad då och då för att se att husets yttersta skinn är i rätt skick. Eftersom en träfasad är uppdelad i olika lager är det viktigt att se att samtliga fungerar som de ska. Det är minst lika viktigt att din baspanel eller mineritskiva är i bra skick. Beroende på vilket fasadmaterial eller vilka fasadplattor som omger ditt hus yttrar det sig olika när de behöver bytas ut. Tala med någon inom branschen för att få tips och råd om hur du på bästa sätt utför din fasadrenovering i Detroit, MI. I Stockholm finns det en mängd firmor inom branschen som är experter på fasadrenoveringar inom alla områden. På så vis får du enkelt reda på hur du behandlar putsade fasader, en reveterad fasad eller vad du kan tänkas behöva hjälp med. Villadrömmen är såklart att ha en underhållsfri fasad och idag finns det material som varken behöver skrapas eller målas.